We Offer a 3 layer felt roof system comprising of Polyester based High Performance Felts, either torch on, or pour and roll hot bitumen. We can also offer a more cost affective system for projects such as garages and sheds. For summer/pool houses we can fix an alternative Felt Shingle which takes on the appearance of slate but without the added weight. 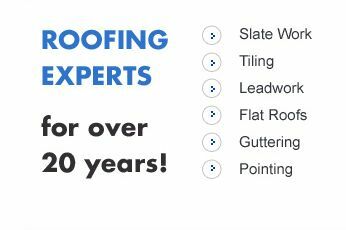 We have replaced 100's of felt flat roofs over the years and approximately 50% of those have had to have new decking, either complete or in part. The decking is the timber platform to which the felt is laid on to. 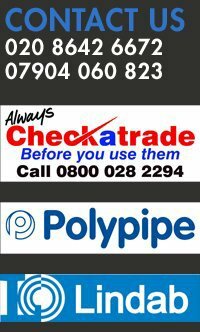 Replacing the decking can be quite costly and an expense that can easily be avoided. If you have a flat roof that you think is more that 10 years of age it would be prudent to get it checked out. In some cases a leak in the roof will only become evident when it is too late and damage to the decking has already occurred. 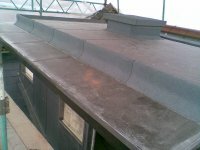 We give a 10 year guarantee with all new high performance felt roofs. There are far too many aspects of pitched roof covering that we do to explain in one short paragraph, but in brief, anything related to concrete or clay tiles, synthetic, composite or natural slate, we can provide a comprehensive service. We can help you decide which tile or slate is best suited to your roof. The colour can be a vital aspect with regards to 'not standing out like a sore thumb' amongst your neighbours, unless of course you specifically want it to. Your new roof covering may well be heavier than the original and therefore it is essential to strengthen the timbers to which it is laid to prevent sagging and spreading in the future. We can advise you on this and carry out the necessary strengthening.